At the invitation of His Majesty Preah Bat Samdech Preah Boromneath Norodom Sihamoni, King of Cambodia, President Xi Jinping of the People’s Republic of China paid a state visit to the Kingdom of Cambodia from 13 to 14 October, 2016. During the visit, President Xi Jinping had royal audience with His Majesty Norodom Sihamoni, King of Cambodia and met with Samdech Akka Moha Sena Padei Techo Hun Sen, Prime Minister of Cambodia. The two sides had in-depth exchange of views on further deepening Cambodia-China Comprehensive Strategic Partnership of Cooperation under new circumstances and international and regional issues of mutual interest in a friendly and cordial atmosphere and reached broad consensus. Both sides expressed their satisfaction to the achievements of economic and social development of each country. The Chinese side sincerely wished that the people of Cambodia will achieve more remarkable progress in maintaining domestic stability, promoting economic development, improving people’s livelihood and enhancing international status. 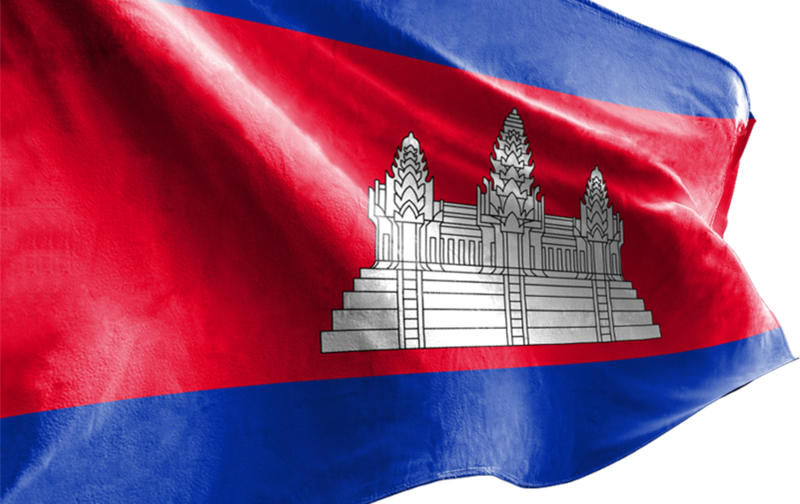 The Cambodian side sincerely wished that the Chinese people successfully realize the “two Centenary Goals”, complete the building of a moderately comprehensive prosperous society, build a modern state of prosperous, democratic, civilized and harmonious socialist country and realize the Chinese Dream of great rejuvenation of the Chinese nation. Both sides agreed that the China-Cambodia traditional friendship, which was jointly created and carefully nurtured by the older generation of Chinese leadership like Chairman Mao Zedong, Premier Zhou Enlai and other prestigious leaders and His Majesty King-Father Norodom Sihanouk has grown stronger with the passing time and deserves mutual upholding and promoting. Amid the profound and complicated changes in the international and regional situation, both sides will strengthen strategic communication, deepen mutually beneficial cooperation, continue to enrich the contents of the Comprehensive Strategic Partnership of Cooperation, better benefit the people of two countries and make positive contribution in promoting regional and international peace, stability and prosperity. Both sides agreed to maintain the good tradition of high-level visits and ex Leaders of both countries will continue to have frequent contacts through diversified means to exchange views on important issues of bilateral relations and international and regional situations in a timely manner, so as to lead the development of Cambodia-China relations in the new era. Both sides agreed to increase exchanges and cooperation between governments, parliaments, parties and local authorities, deepen communications on governance experience and enhance multi-level communication and coordination. Both sides agreed to make good use of the Inter-governmental Coordination Committee between the Royal Government of Cambodia and the Government of the People’s Republic of China, and coordinate and comprehensively promote the practical cooperation in all areas. Both sides agreed to continue to enhance exchanges and cooperation in foreign affairs, national defense and law enforcement and security. Both sides agreed to implement the Protocol on Cooperation between the Foreign Ministries and the Agreement of Enhancing Cooperation under the New Situation signed during this visit, and strengthen communication and coordination at all levels. Both sides will maintain all-level contacts between the two armies, deepen cooperation in the field of military training, personnel training, military exercise and logistical equipment etc, and enhance coordination in multilateral security affairs. Both sides will work together to combat trans-border crimes, human trafficking, telecommunication fraud, terrorism, drug control and smuggling, and enhance cooperation on safeguarding domestic security, capacity building in law enforcement, as well as exchanges of case investigation assistance, work together to maintain national security of respective country and regional stability. Both sides agreed to value and deepen Cambodia-China cooperation from strategic perspective and further explore its potentials and enhance the level of cooperation. (1) Both sides highly commend the positive progress of Cambodia-China economic and trade cooperation, and will accelerate the effective coordination of China’s Belt and Road Initiative and the 13th Five Year Plan with Cambodia’s Rectangular Strategy and the Industrial Development Policy 2015-2025, work out and implement the Outline Plan for Jointly Promoting Cooperation on the Belt and Road Initiative, and carry out the list of Priority Projects of Productivity Capacity and Investment Cooperation. (2) Both sides will strengthen the overall planning and further enhance the scale and the level of bilateral economic and trade cooperation. Both sides will take measures to expand the bilateral trade volume, realizing the annual bilateral trade volume to US$ 5,000 million by 2017. (3) The Chinese side will encourage competent and renowned Chinese enterprises to enhance cooperation with the Cambodian side in major fields of infrastructure, energy, communication, agriculture, industry and tourism, and continue to implement the Sihanoukville Special Economic Zone and other projects. (4) The Chinese side is ready to continue to provide assistance within its capacity to Cambodia for its economic development and improvement of people’s livelihood, and support Cambodia’s infrastructure development such as transportation, energy, telecommunication, agriculture and water conservancy. The Cambodian side expressed its gratitude to the financial support and effective investment by the Chinese side. Both sides agreed to further expand the exchanges and cooperation in the fields of agriculture, maritime, science and technology, education, culture, health, tourism and people-to-people contacts. Both sides will make efforts to ensure the success of the second meeting of the steering committee on agriculture cooperation. Both sides agreed to enhance Maritime Cooperation. The Chinese side will provide more government scholarships to Cambodia and train young technical talents for Cambodia. The Cambodian side will continue to facilitate the effective management of the Chinese Culture Center and the Confucius Institute. The Chinese side will encourage more Chinese citizens to travel to Cambodia. Both sides will enhance the friendly contacts between the youth to cultivate the successors of Cambodia-China friendship and consolidate the public support base for the friendly bilateral relations, making our two countries to be good neighbors, good friends, good brothers and good partners for ever. Both sides are of the view that the South China Sea issue is not a problem between China and ASEAN. It should be resolved through friendly consultation and peaceful negotiation by directly concerned sovereign nations. China and ASEAN should continue to fully and effectively implement the Declaration on the Conduct of Parties in the South China Sea (DOC), and promote an early conclusion of the “Code of Conduct in the South China Sea” on the basis of mutual consensus through consultations. China and ASEAN should actively push forward the pragmatic cooperation and jointly maintain peace and stability in South China Sea to make it a sea of peace, friendship and cooperation. The Chinese side reaffirmed its firm support to the effort of the Royal Government of Cambodia to defend its sovereignty, independence and maintain political stability. The Cambodian side reaffirmed its commitment to the One China policy, recognizing the Government of the People’s Republic of China as the sole legal government of China and Taiwan as an inalienable part of China, its opposition to the “independence of Taiwan” in any form, and its continued support to the peaceful development of cross-Straits relations and the great cause of peaceful reunification of China. The Chinese side highly appreciated the understanding and support of the Cambodian side. Both sides agreed to further enhance coordination and cooperation on multilateral forums such as the United Nations, Asia-Europe Meeting, East Asia Cooperation and the Mekong-Lancang Cooperation, and continue to maintain close, timely and effective coordination on issues related to respective major interest and offer strong support to each other. The Cambodian side extended congratulations to the Chinese side for its successful host of the G20 Hangzhou Summit and highly appreciated China’s positive contributions to the growth of the world economy and the sub-regional development. The Chinese side spoke highly of the major role that Cambodia has played in promoting China-ASEAN relations and the East Asia cooperation. During the visit, the two sides signed 31 cooperation papers including the Agreements on Cambodia-China Governmental Economic and Technical Cooperation, the Protocol on Remitting Partial Debt of the Government of the Kingdom of Cambodia, the Exchange of Note on the Cambodia-China Friendship Medical Building Project, the MoU on Formulating the Outline of Bilateral Cooperation Plan to Jointly Build the Silk Road Economic Belt and the 21st Century Maritime Silk Road, the Agreement on Strengthening Cooperation in Counter Trafficking in Persons, the Agreement on Avoidance of Double Taxation, the Agreement on Strengthening Cooperation Under New Circumstances Between the two Foreign Ministries, the MoU on Promoting Industrial Investment Key Cooperation Projects, the MoU on Cooperation of Information Exchanges and Cooperation on Domestic Security Enforcement, the MoU on the Cooperation of Inspection Sector, the MoU on Scientist Exchange Program, the MoU on the Study of Master Plan on Water Resources Planning Outline Project and the Arrangement of Disciplinary System and Support Facilities of the Institutes of Water Resources Project, the MoU on the Maritime Cooperation, the Agreement on Radio and Television Cooperation. Both sides agreed that the state visit of President Xi Jinping to the Kingdom of Cambodia was a complete success. It is a major milestone in bilateral relations and has further consolidated the traditional friendship between Cambodia and China and pushed the Comprehensive Strategic Partnership of Cooperation of the two countries to a new high. President Xi Jinping expressed heart-felt thanks to His Majesty King Norodom Sihamoni, the Royal Government of Cambodia and the brotherly Cambodian people for their grand, warm and hospitable reception and invited His Majesty King Norodom Sihamoni to visit China again at His Majesty’s convenience. His Majesty King Norodom Sihamoni expressed thanks for the invitation and accepted the invitation with pleasure.